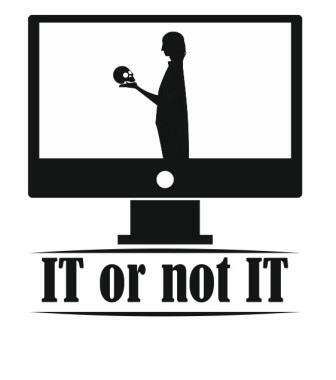 The 5th and final Learning Activity of our project “IT or not IT? 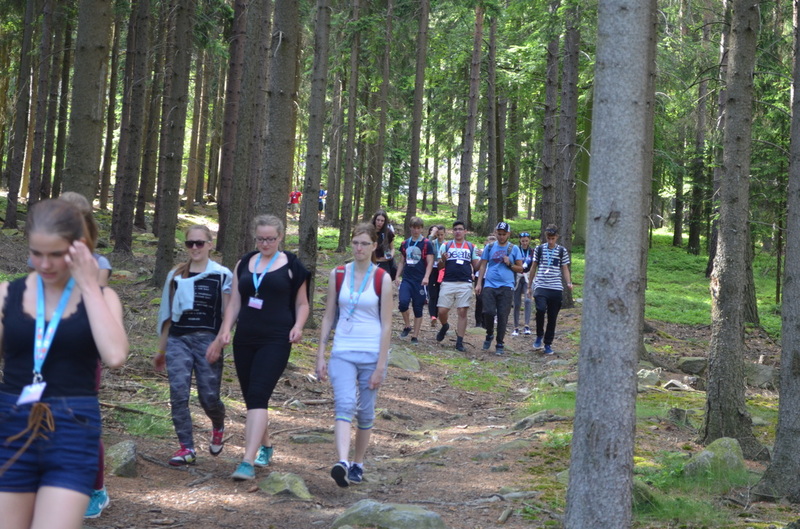 – reaching our goals equipped with modern tools”, was hosted by Vyšší odborná škola and Střední odborná škola, Březnice in the Czech Republic from the 13th – 17th of June 2016. 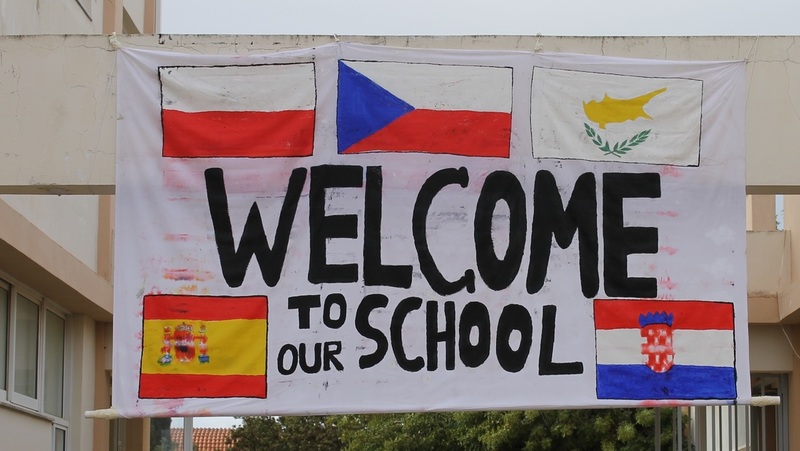 The Czech school welcome 24 students and 10 teachers from partner schools from Spain, Croatia, Cyprus and Poland. The programme started off with an opening ceremony where students presented their schools using some of the tools found in out IT tool Bank. It was a good opportunity to inform guests, staff, students of Czech school and the public about our project. The ceremony was recorded by a regional TV station, which interviewed the coordinator and some of the students involved in the project. After the ceremony students met outside for sporty ice-breaking activities, which were a lot of fun and helped them get to know each other better. 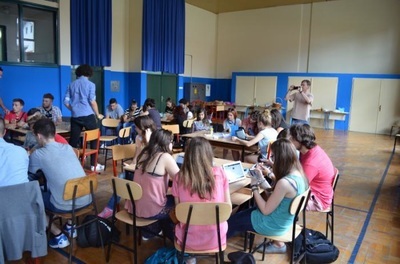 During the week students took part in three workshops: The first workshop focused on how to create and on-line magazine with the application Joomag. Students were divided into six international teams in which they distributed tasks which were to be done in the magazine. 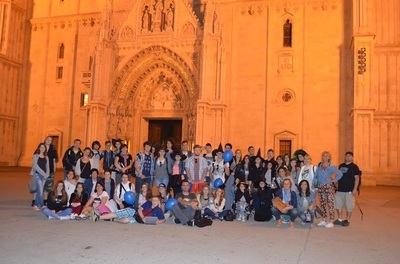 During the whole week they gathered information about the stay in the Czech Republic. Their work included writing articles in English about things they did and saw, interviews of their foreign friends, photos, videos vlogs and advertisements. This activity gave students the opportunity to develop their writing and speaking skills in English, to be creative and work collaboratively. On the 31st of May, when we celebrated our School day, students - members in IT or not IT project, presented some of IT tools learned during 2 years. We made really IT day in school hall, with high tables, project tablets and very proffessional and educated „teachers“. Real teachers turned to students and they walking around looking for the IT tool which could help them to make more creative and interesting classes. Also, other students of our school and students of two local primary schools came to learn how to use some IT tools to improve their learning. The atmosphere was very working, but relaxed and all participants on the both sides really enjoyed and exchange experiences, new knowledge and new skills. 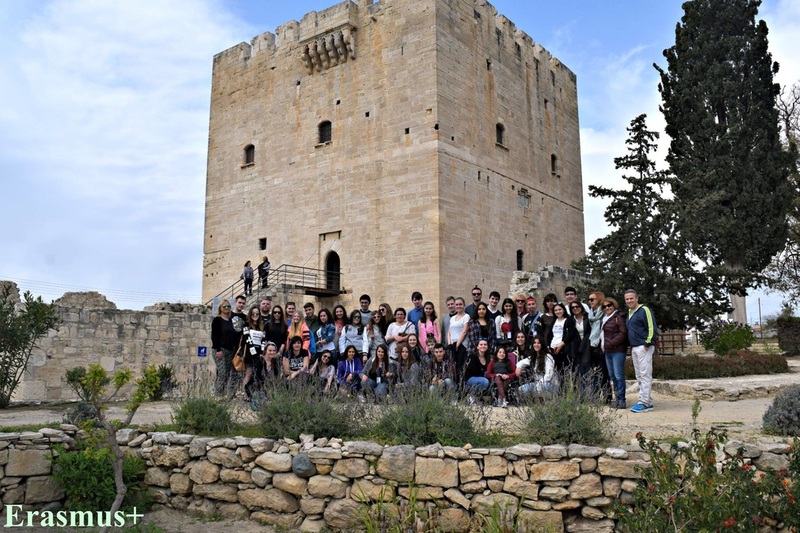 The week from the 15th to 19th of March 2016 the Perifereiako Lykeio Palaiometochou M. Koutsofta - A.Panagidi in Cyprus hosted the 4th transnational learning/teaching meeting, under the European program “IT or not IT? 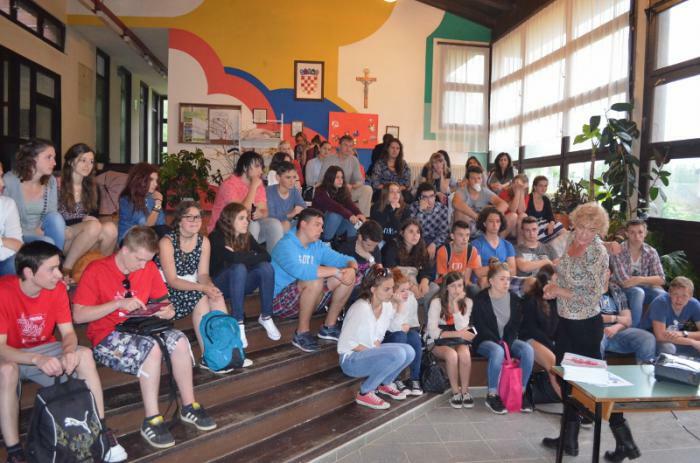 Reaching our goals equipped with modern tools”.With great enthusiasm students and teachers of the school hosted 21 students and 9 teachers from the partner countries, Poland, Croatia, Spain and Czech Republic.Upon arrival at the school, the guests had a warm welcome. 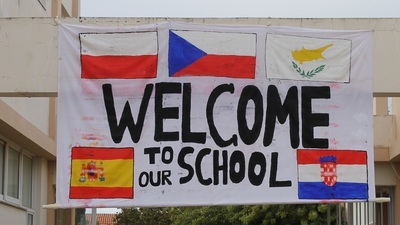 A large banner made by the students of the Cypriot school, in the school entrance, sent good wishes to the guests. Learning how to record and edit sounds. One of the applications tested within the project is Endomondo. 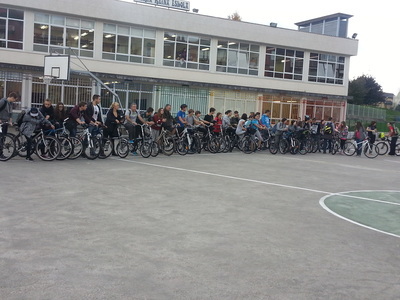 Take a look at our route we took cycling during our meeting in Donostia! Skype meeting CRO-CR 15. 10. 2015. – How we spend our free time? The 17th and 18th of September 2015, the coordinators of the five schools participating in the project, met in Cyprus for the second transnational project meeting. read more.. 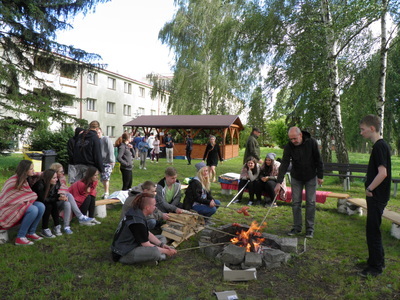 The first learning activity in Poland has been evaluated by all the participants from the partner countries. You can find the results of the evaluation HERE. The Cypriot group of students and teachers who participated at the first learning activity in Poland, presented their experience to others students and teachers of the school, on Monday 25th of April. 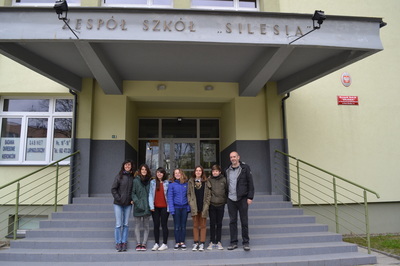 Zespół Szkół "Silesia" in Czechowice-Dziedzice, Poland, was a host of the first learning activity in the project. 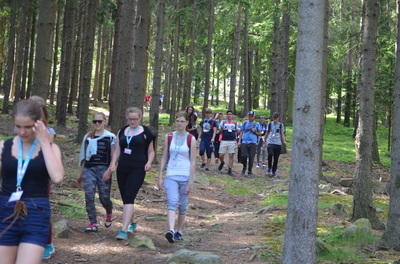 On the 14-18 April 2015 all the partner schools met there to learn, how to use Prezi and Glogster, take part in the Maths Foot Orienteering event, and visit important sights in Kraków, Czechowice-Dziedzice, Bielsko-Biała, KL Auschwitz in Oświęcim. The visit was also a great opportunity to meet personally and make friendships. 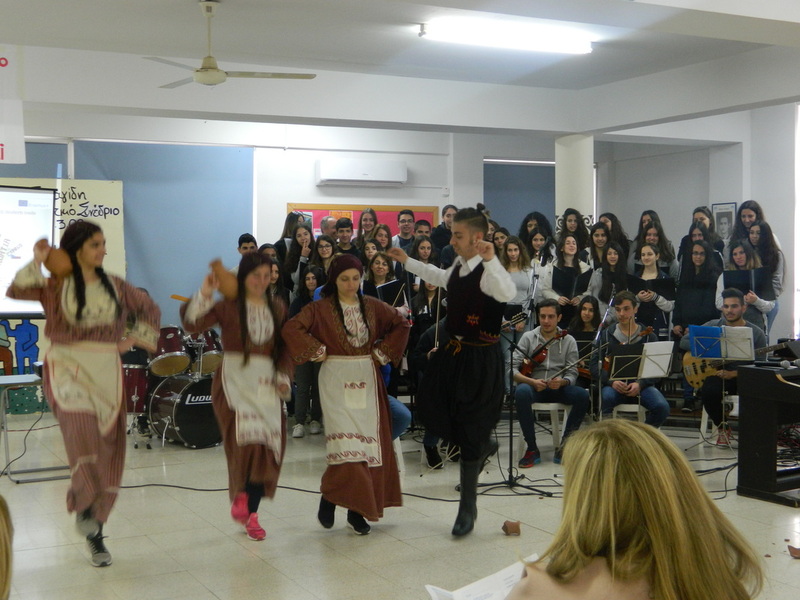 Paliometoho Lyceum organized a "Festival of Knowledge and Learning". Under this "festival" students and teachers had the opportunity to present and attend new methodological approaches to learning process. On 4th March the ERASMUS+ Team showed and taught to interested students and teachers, how to make their own short film. Printed instructions have also been distributed to the participants. 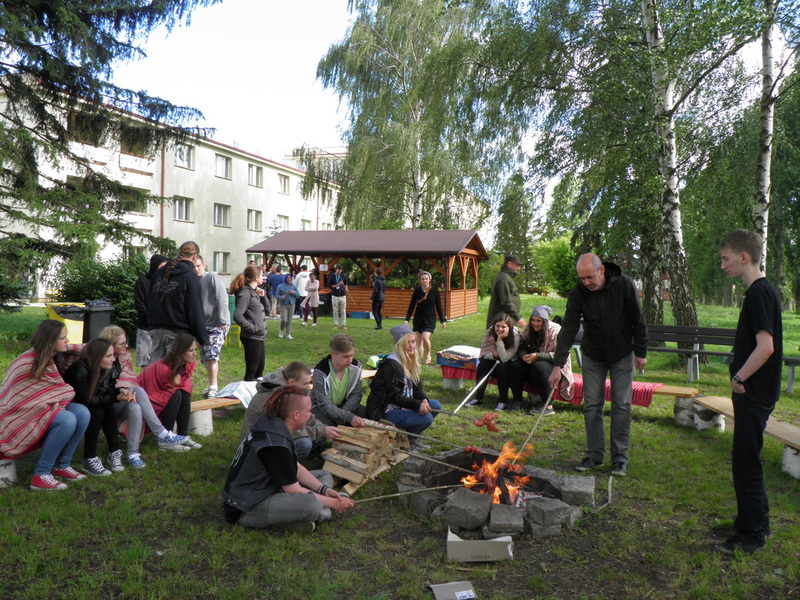 The Polish group is preparing a photogallery of Czechowice-Dziedzice and the nearby towns – Bielsko-Biała and Pszczyna. The students are taking photos of their favourite places, and the most important sights of the region. You can see some pictures in the gallery. On 19-1-2015, we organized successfully our first Skype and chatting meeting. Cypriot students and Czech students had the opportunity to discuss through Skype and through facebook chatting. It was a great experience for everyone. 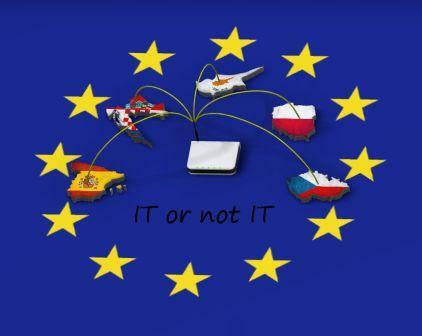 On 18 January 2015 the project coordinators from Czech, Poland, Cyprus, Spain and Croatia met at a Skype conference to discuss the progress of the project and determine the next joint steps. Many questions were asked, there was a discussion on the project website, ways of evaluation of the tasks and the planned visit to Poland. As usual, the atmosphere of the meeting was full of commitment and despite technical problems they managed to take most important decisions. As a result of a vote conducted in all partner countries, the project logo design has been chosen . 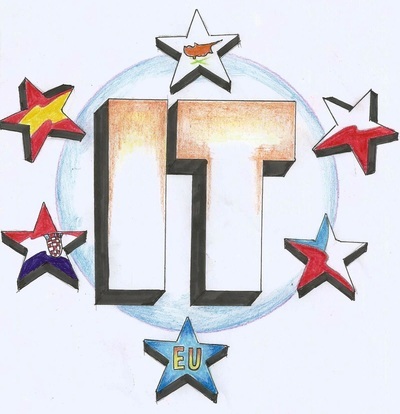 From now on, the logo designed by participants from Cyprus, will be the project official logo . The process used for the voting is described on the project page in the tab 'VOTE FOR THE LOGO ... "
A logo competition has been announced with deadline on the 30th November. Each country has proposed a logo for the project. During the first transnational project meeting, a special group on Facebook was created. The students can meet and talk there. This is just one of the ways for students to communicate. We also organized the meetings on Skype, exchanged e-mails and set up the photo gallery. We use the tools of educational platform eTwining to communicate and share all the activities in the project. 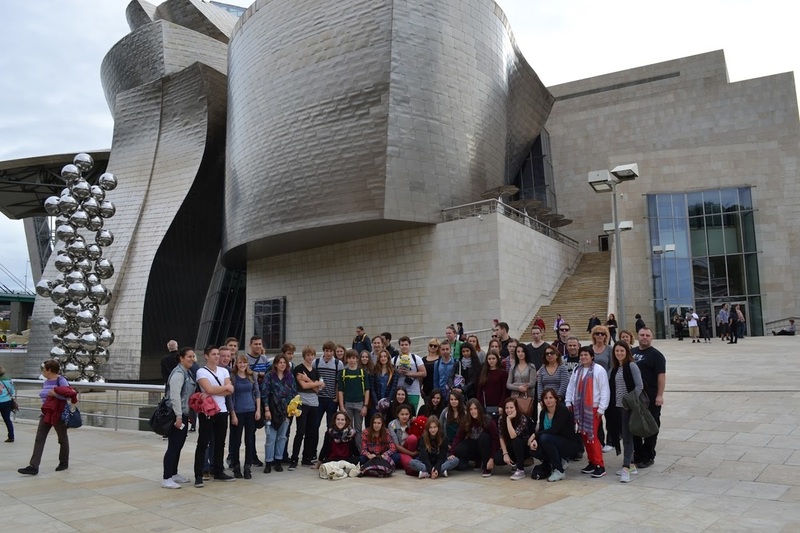 Each participant of the project has also an account in the TwinSpace. Students have their profiles there and participate in creating of the website of the project. After logging into the portal, you can see a lot of information about our activities, and profiles of all the project participants. Between17-19 November 2014, the coordinators of all the partner countries, met in Czech school in Březnice. The conference aimed to establish the specific tasks for all the partners and organize in detail all the activities. 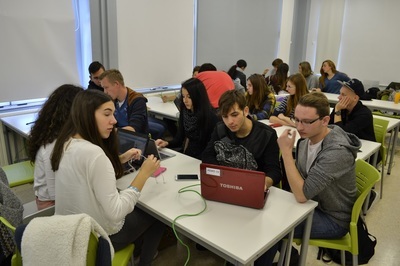 The first meeting of the students participating in the project was discussed and scheduled for April 2015 in Poland. The second meeting was scheduled for June 2015 in Croatia. Welcome to the gallery .